Today, payments company Square has announced a new hire in the form of former Facebook Product Director of Ads Gokul Rajaram. Rajaram is set to oversee Square register and a variety of other products at the company. “I’ve been fortunate to work for two mission-driven, world-changing companies, and Square’s vision and passion for helping businesses grow is inspiring. I’m thrilled to join the team and help build amazing products that drive economic growth and empower local businesses around the world,” Rajaram said in an emailed statement. 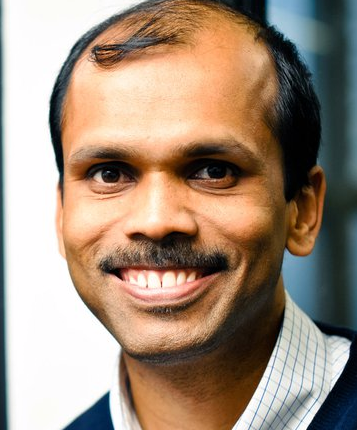 Rajaram founded Chai Labs which was acquired by Facebook in August of 2010. Before that, he was Product Management Director for Google AdSense. Square has announced a spate of hirings in the last few months including former PayPal exec Alex Petrov as its President of Partnerships. It also hired ex-Googler Francoise Brougher to help it with bizdev stuff and former Deputy US Trade Representative Demetrios Marantis to handle international government, regulatory and policy work.